Recently, GoDaddy teamed up with Alignable to survey more than 100,000 small business owners regarding digital pain points. Small business owners continue to struggle with the digital shift and are having a hard time with various digital marketing hurdles. 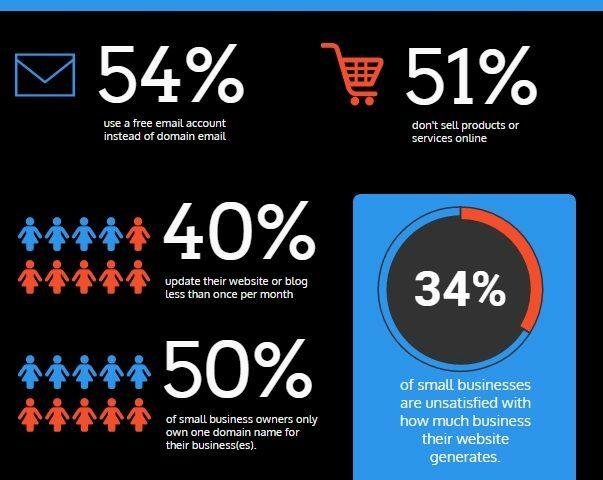 More than half of small business owners use a generic email. U.S. Department of Commerce reported that online sales accounted for more than a third of all retail sales growth in 2015. Ecommerce sales last year totaled $341.7 billion, up more than 14 percent over 2014. Thirty-one percent of those surveyed have a dedicated ecommerce site and 15 percent sell on marketplace platforms like Amazon and Etsy, either instead of or in addition to their own ecommerce website.